All-in-one, solder-free system for racewings. Comes with – or plugs into – everything you need. FPVision, PNP PRO V2 OSD, Unify PRO integrated, Video Switch, DCDC with 4A on 5V and 250mA on 12V. 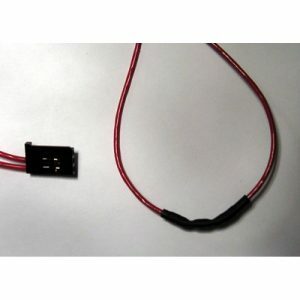 Clean, filtered power for fpv camera. Integrated TBS FPVision module – integrates the TBS CORE PRO and TBS Unify Pro technologies. The Core PRO takes control of everything. You can fully configure your flight control with your remote control, tune your multi rotor without the need for a laptop. And during the flight, you’re beeing kept up to date with everything that’s going on in- and around your multi rotor. New features such as artificial horizon, accurate current and voltage sensing, battery and R/C link health (RSSI) and navigational help (GPS required, sold separately) are all part of the bundle. Nobody has flown the FPVision and not been blown away by its functionality and integration. Give it a try, you won’t be disappointed!